Sid Wizard REALLY NEEDS MORE EXPOSURE!!! It is an abomination that it took me so long to find out about this amazing tracker. And even if its briefly mentioned its hard for newbies to distinguish it from other less featured c64 trackers that are not being currently updated. IT NEEDS TO BE MADE VERY CLEAR that Sid Wizard is they most advanced tracker for the c64. Unfortunately this is not the case and so newbies either waste a lot of time until they eventually stumble upon it or they just never encounter Sid Wizard at all (which is an appalling travesty). Woolyss NEED TO LIST IT IN THER TRACKER LIST, NOW! (as thats where most newbies go for there software and it is an ABSOLUTE DISGRACE that Sid Wizard is not listed there as a tracker). It is by far they best real or emulated c64 tracker as its just as solid on my breadbin as it is via vice and hence it also bridges the gap from emulation to real hardware seamlessly (something goattracker and cheesecutter do not). Plus regardless of cross compatibility just on features alone Sid Wizard destroys all competition with ease. Its actually disgusting just how hard it is to find out about this tracker - yet its by far the best option. More youtube videos are needed (both examples tracks and tutorials), more forum threads about Sid Wizard are needed and more chip sites NEED to give it a mention! THIS NEEDS TO BE SORTED ASAP - LIKE REALLY - ITS A COMPLETE P!$$ TAKE!!! Well there are at least 70 songs in the HVSC written with it, so someone's using it. Anyway c64 stuff in general in the chip scene has always been a small userbase, not to mention that underpowered MSSIAH thingy is inexplicably popular. Incidentally, Hermit's 2SID Mezzoforte cover in it. Do they sell Sid Wizard cartridges anywhere? Another thumbs-up for SID Wizard from me, it's great. SID-Wizard is really awesome, and I just really wish that the info pane at the top and the pattern arranger at the bottom weren't cut off when I use it on my NTSC machine. Sid Wizard destroys all competition with ease. nope, LSDJ is still the best c64 tracker ever. How cool is the chip community! Legends such as 4mat active in the forum. And how cool is jikoo for being willing to update his old site. Bit of a low blow mentioning LSDJ C64 though guys, as it was a hack/port created by a little known hacker group native to the relatively unknown eastern european / x soviet state Belarus. Only 11 cartridges where ever made (no of which have ever left Belarus as far as i'm aware) and tough luck getting hold of the rom unless you can type fluent Belarusian and use alternatives to the modern internet such as the deep web and fidonet. For most of us this photo of a c64 LSDJ cart taken i assume somewhere in Belarus is about as close as we will ever get to the awesomeness that is LSDJ C64. Woah! 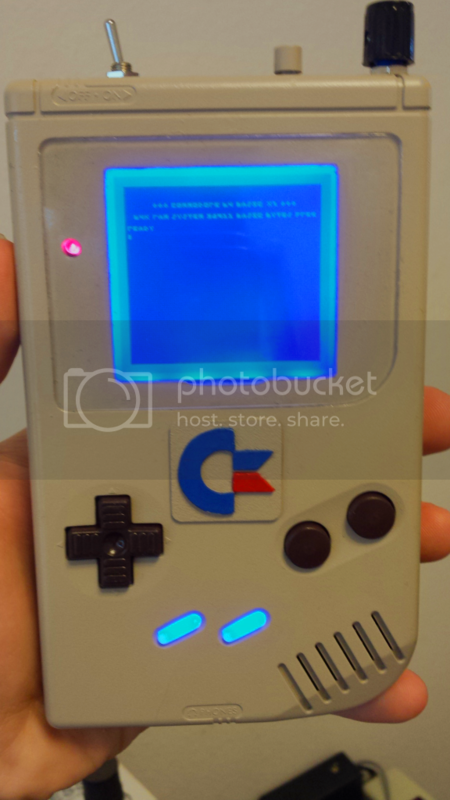 Had no idea there really WAS a c64 lsdj. Is there any articles or threads more about it that you care to point me to? Dont get excited it never reached any kind of usable state. OP needs to calm down! xD I agree, though, SID Wizard is as good as it gets. Well, to be fair, the C64 music scene has always been massively active, it's just that C64 musicians tend to associate themselves more with the demoscene than the chiptune community.